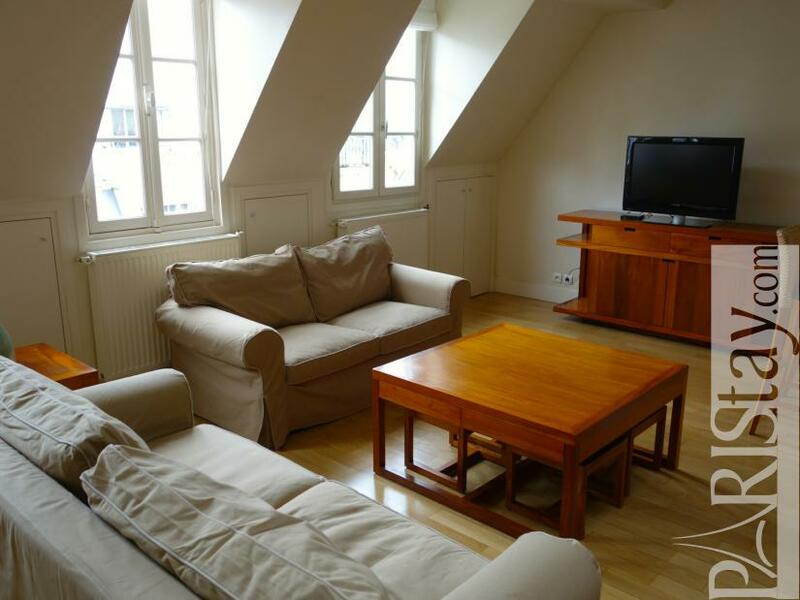 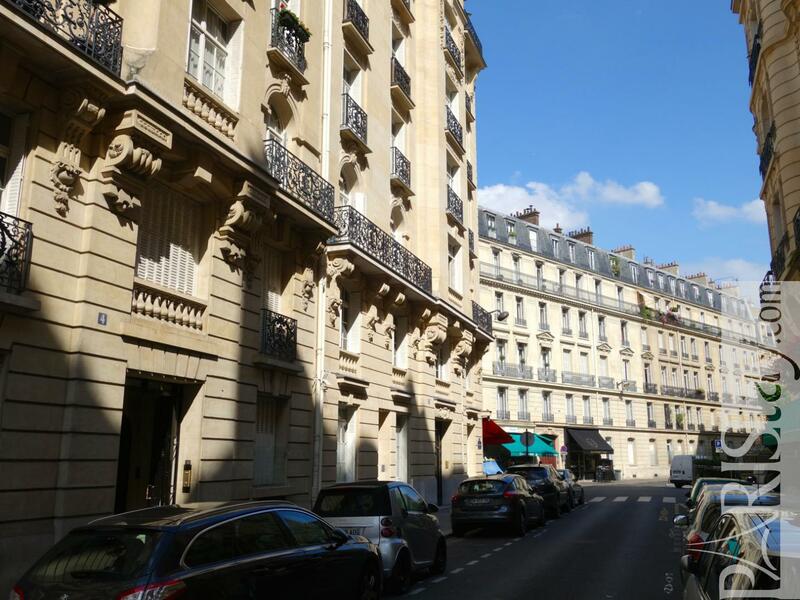 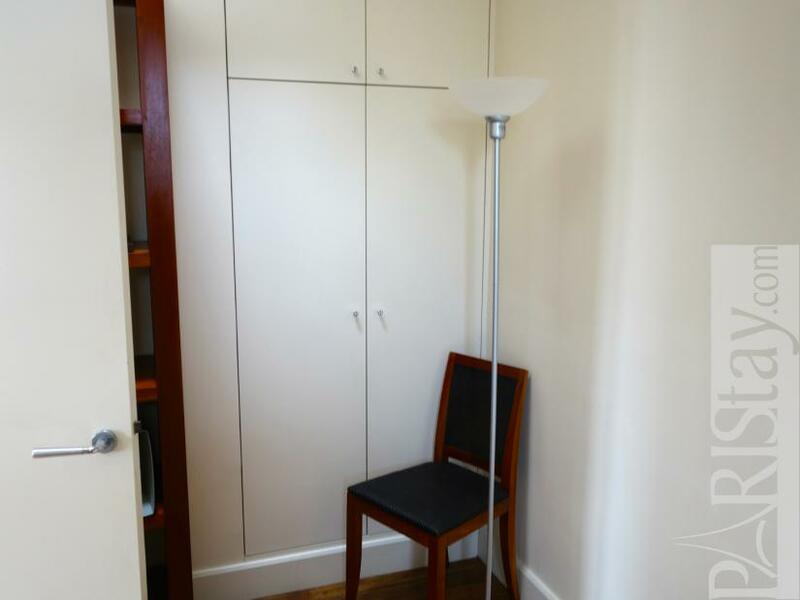 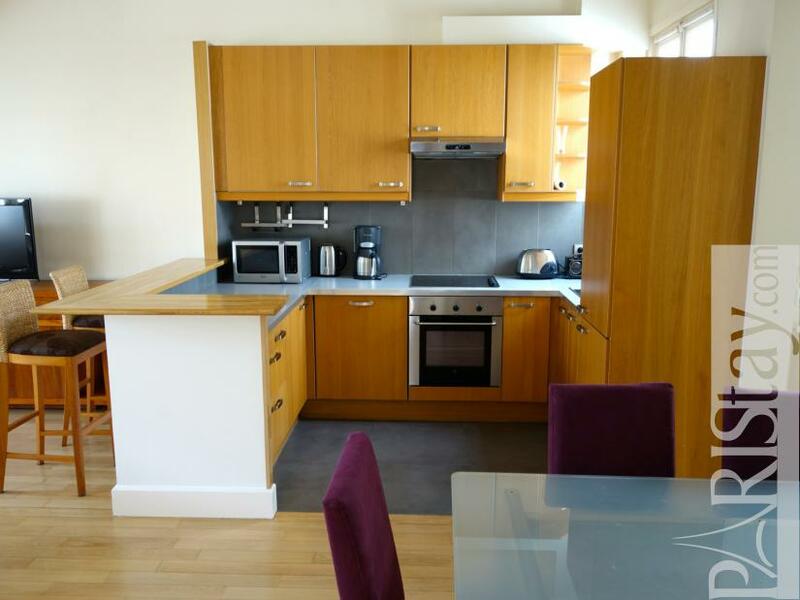 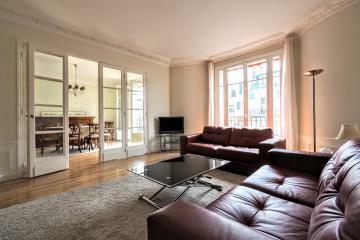 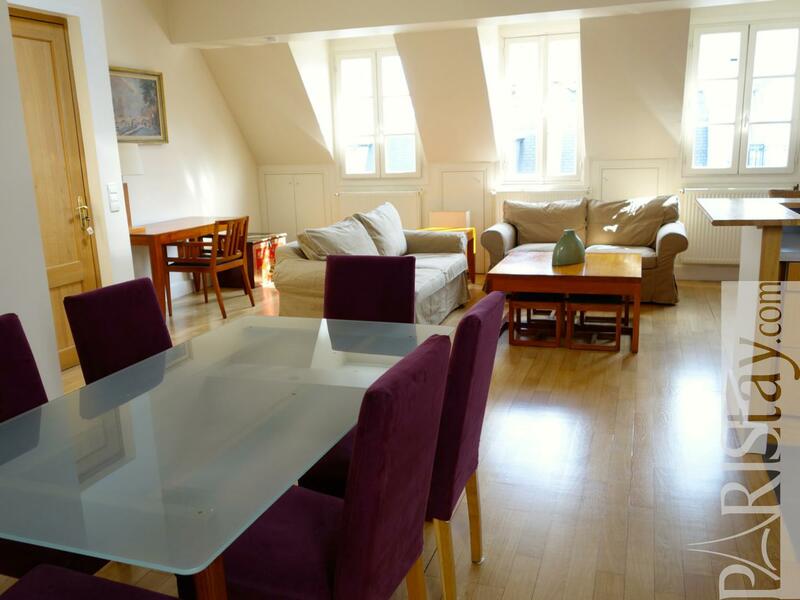 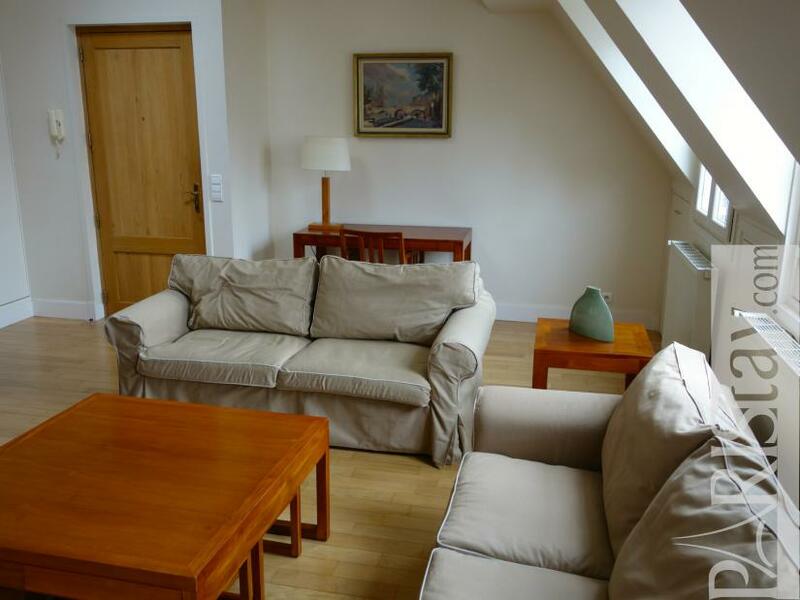 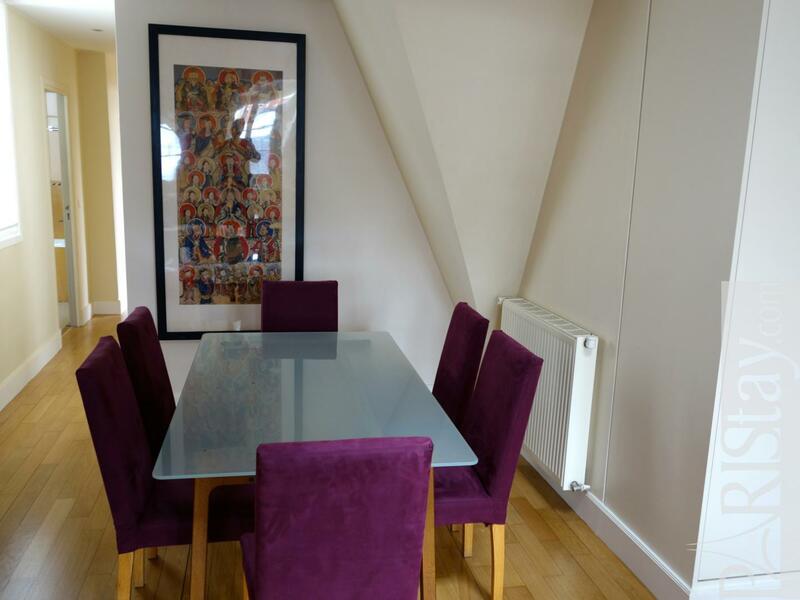 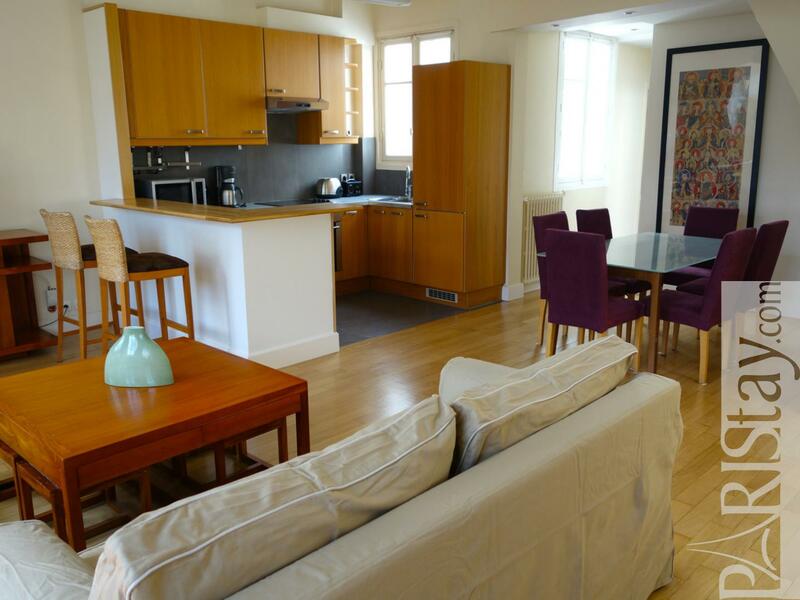 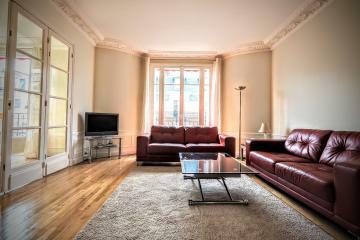 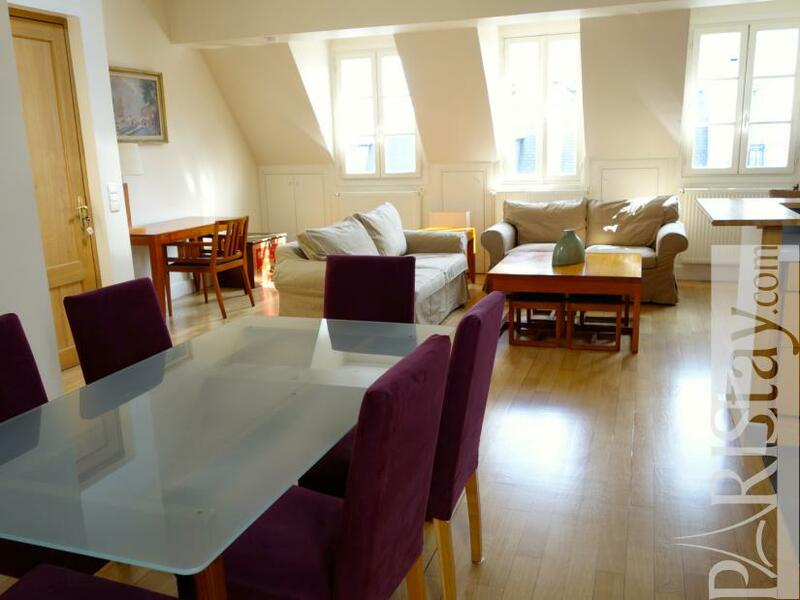 Spacious and bright Paris 3 bedroom apartment rental perfectly located in the Trocadero district, 2 steps from Passy Village and Bois de Bouliogne. 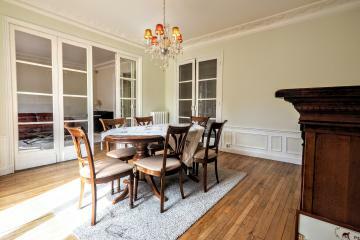 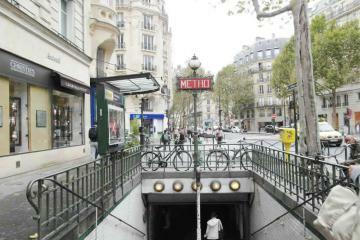 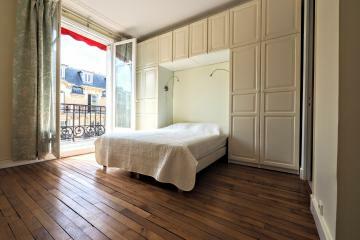 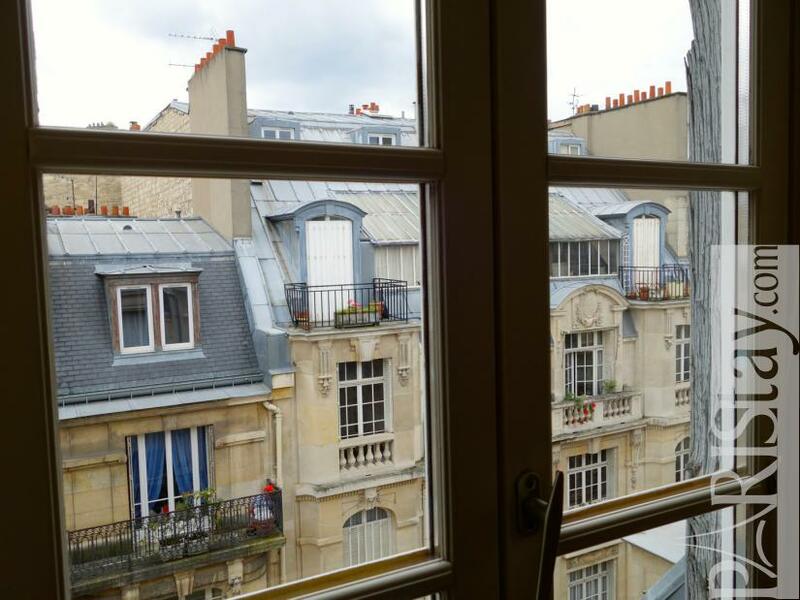 An easy way to experience Paris from this elegant residential area. Here is a comfortable family apartment offering a spacious living room with an open fully equipped kitchen with bar, 3 bedrooms, 2 bathrooms and a dressing. 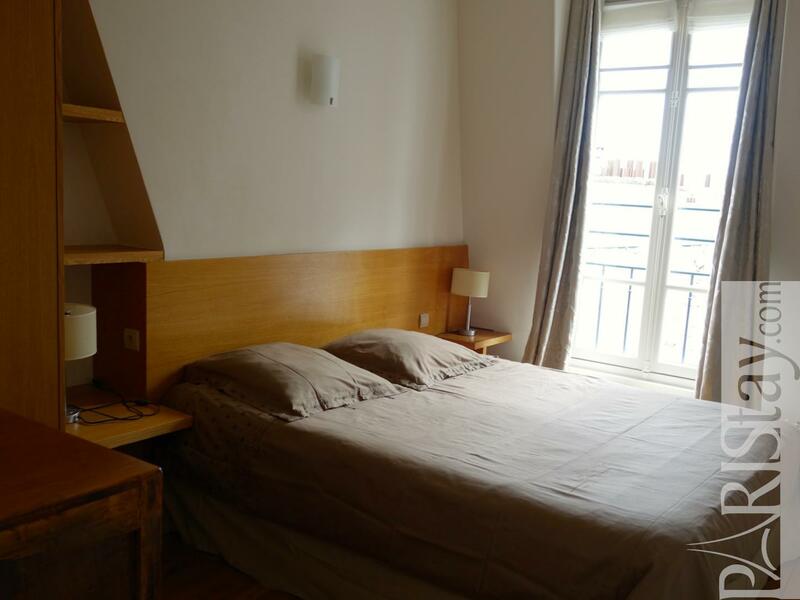 First bedroom has a double bed. 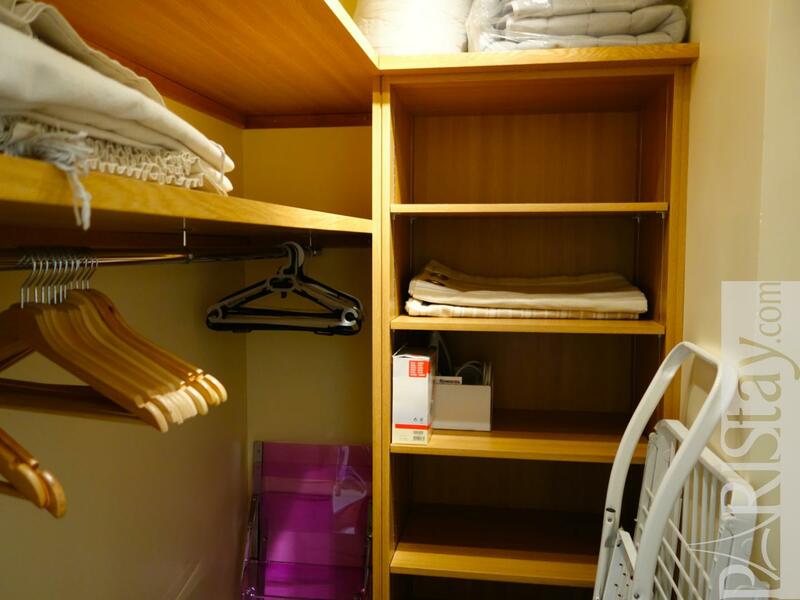 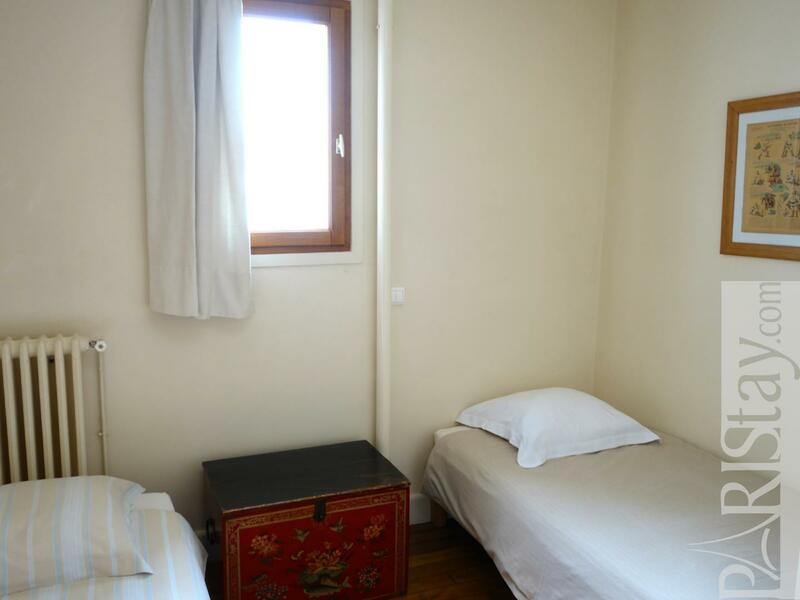 Second bedroom has 2 single beds and third bedroom has one single bed. 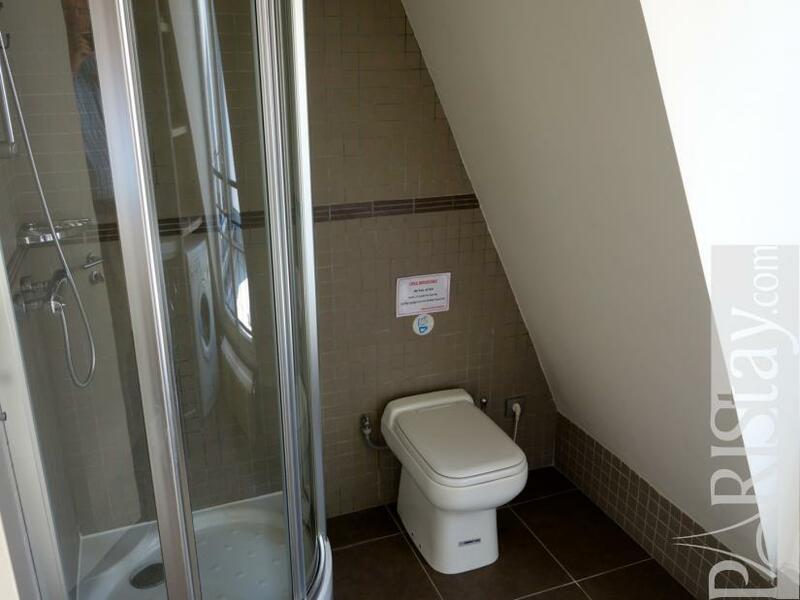 So it welcomes up to 5 people. 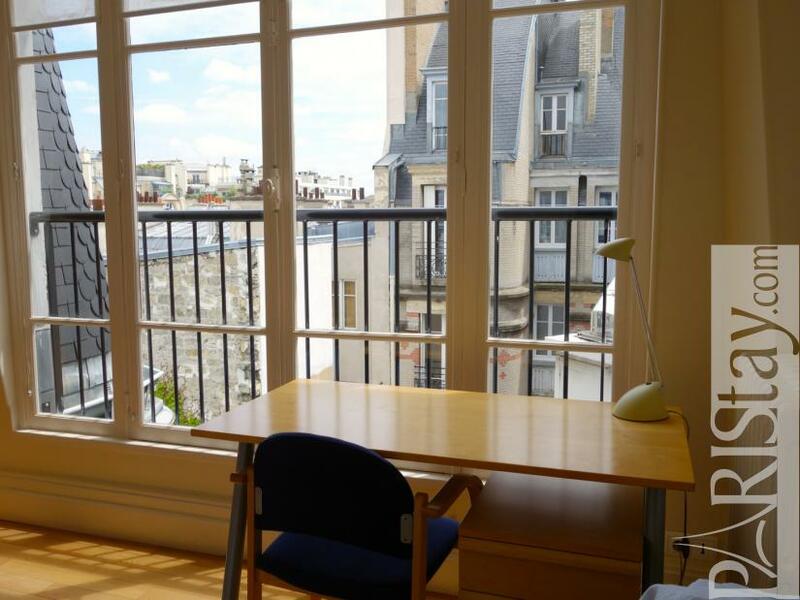 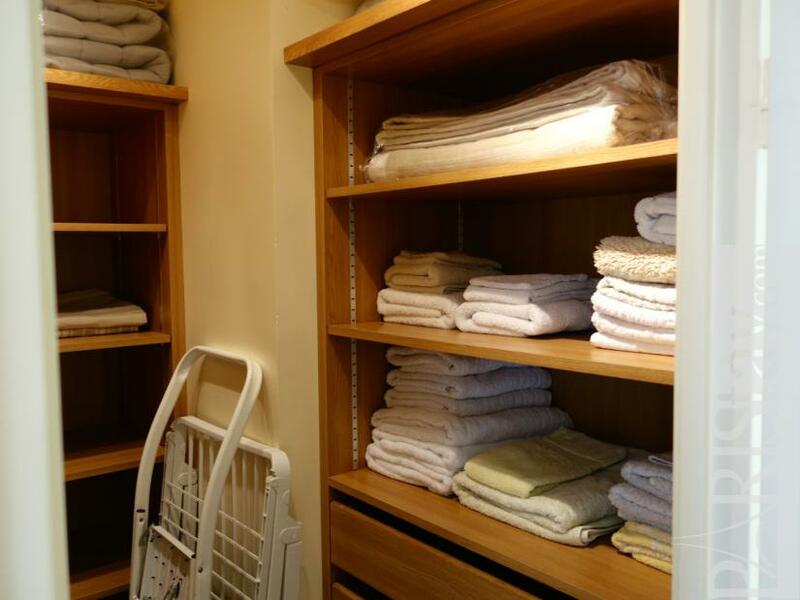 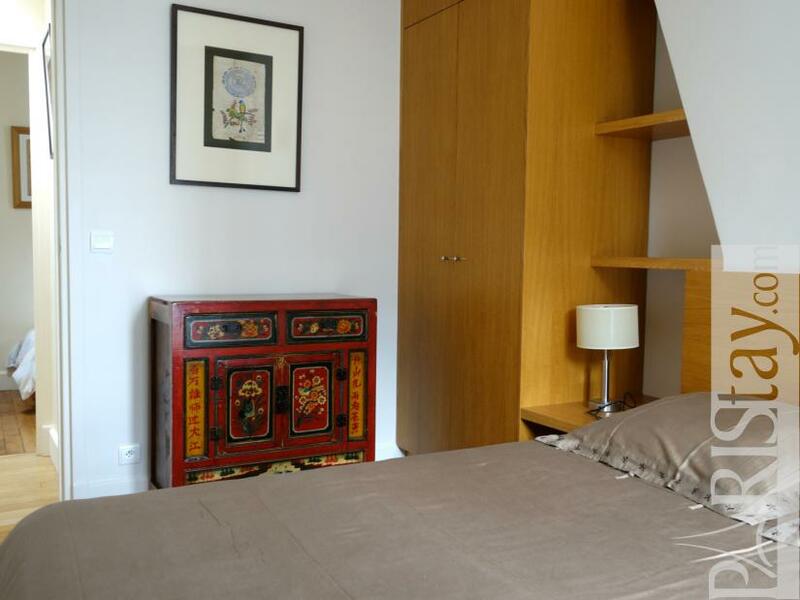 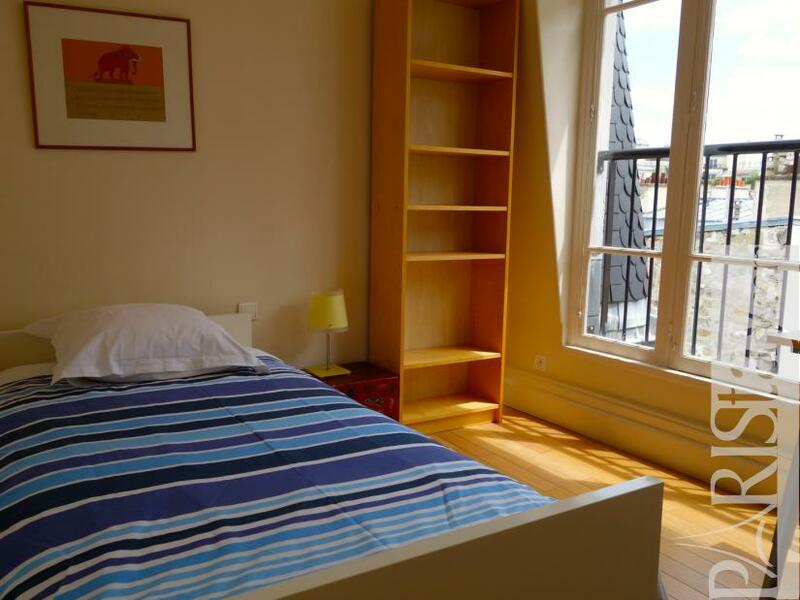 This apartment is available for short stay rentals in Paris, from july to september (Paris city hall licence 7511601948652) Please note: monthly fees 100 euros for electricity and water. 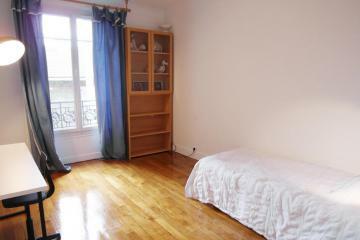 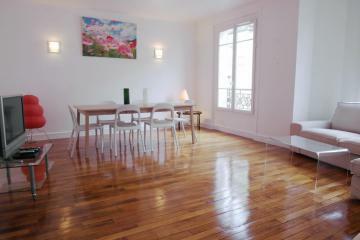 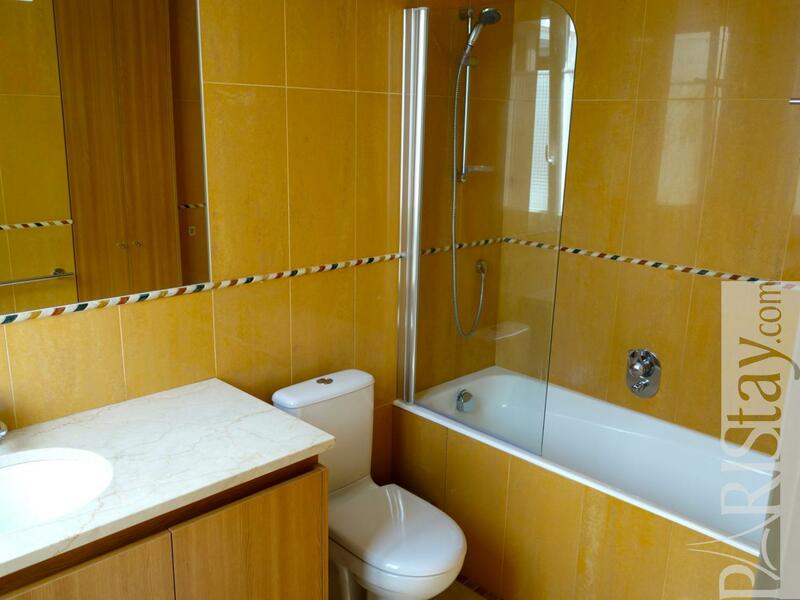 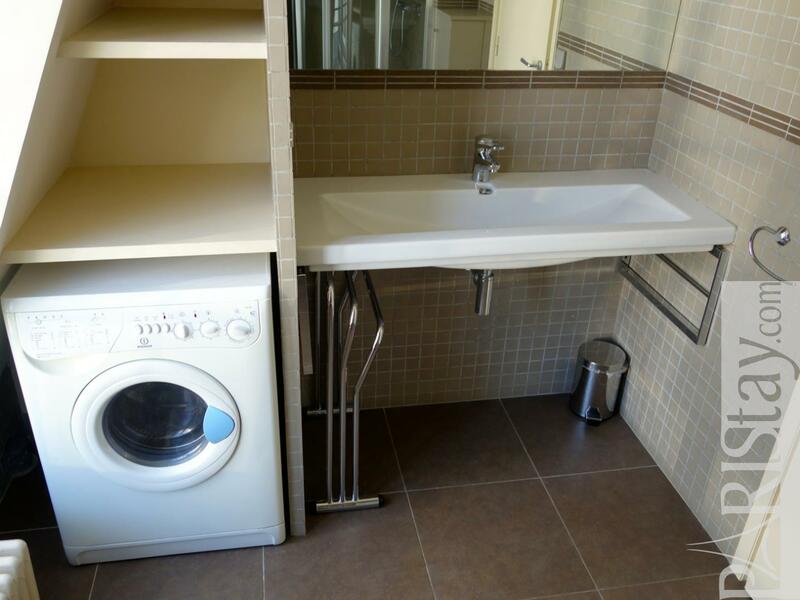 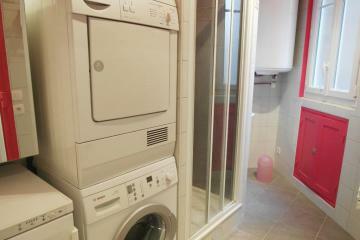 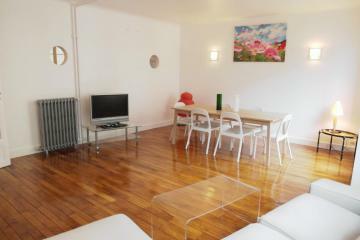 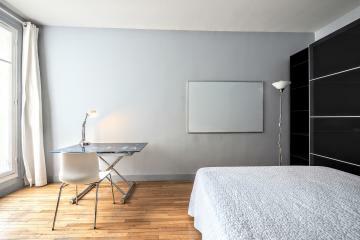 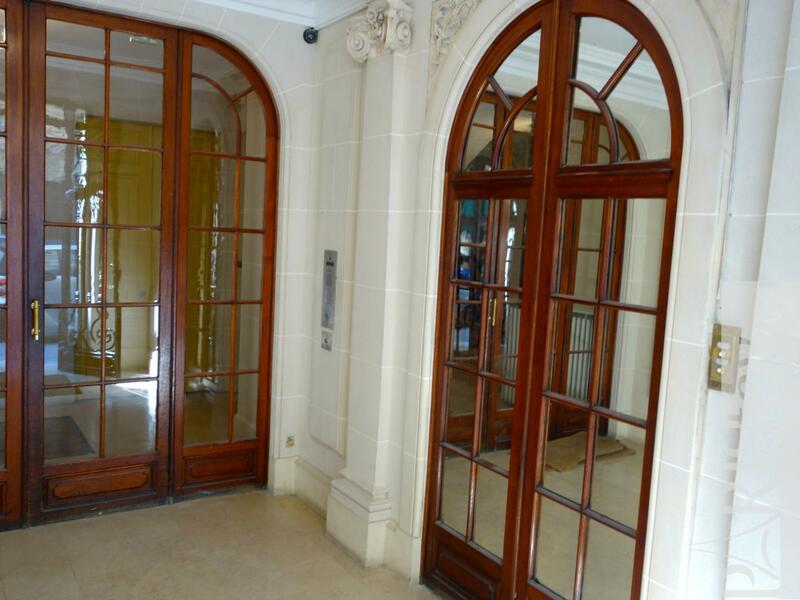 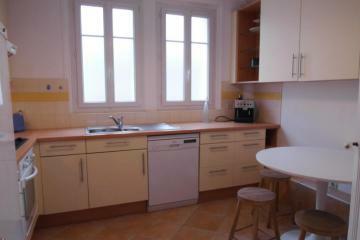 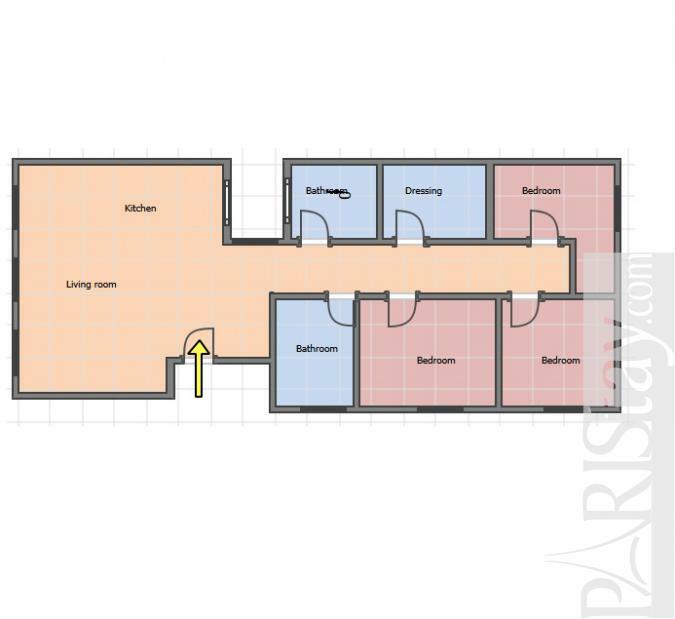 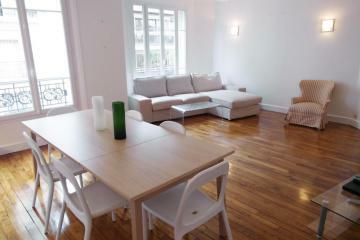 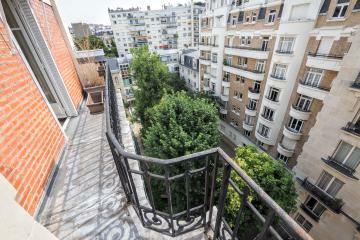 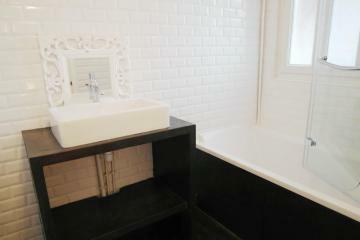 6 rd floor, with Lift, entry code security system, 3 bedrooms Appartement, furnished, Approx: 100m² / 1075 Sq.Ft.